Dian Hong Golden Pearls is a an unusual pearl-shaped black tea from Yunnan. 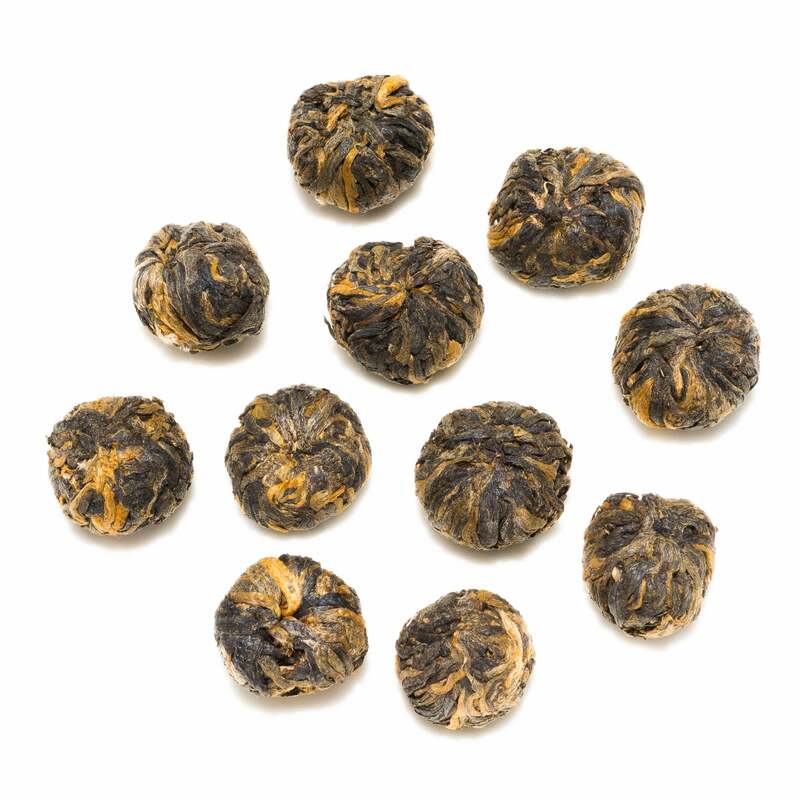 The pearls unfurl during brewing to produce a medium amber liquor that is light and sweet. 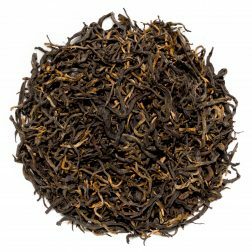 The subtle character of this tea is floral and malty with fruity notes of peaches and tart cherries. 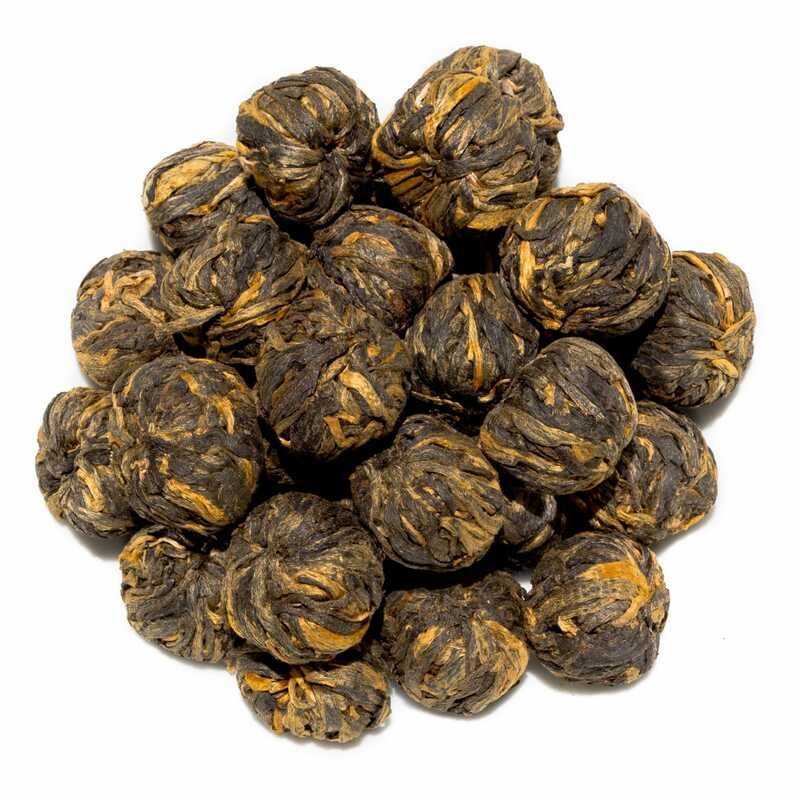 Dian Hong Golden Pearls (滇红金珍珠) is a speciality tea from Yunnan Province of China. 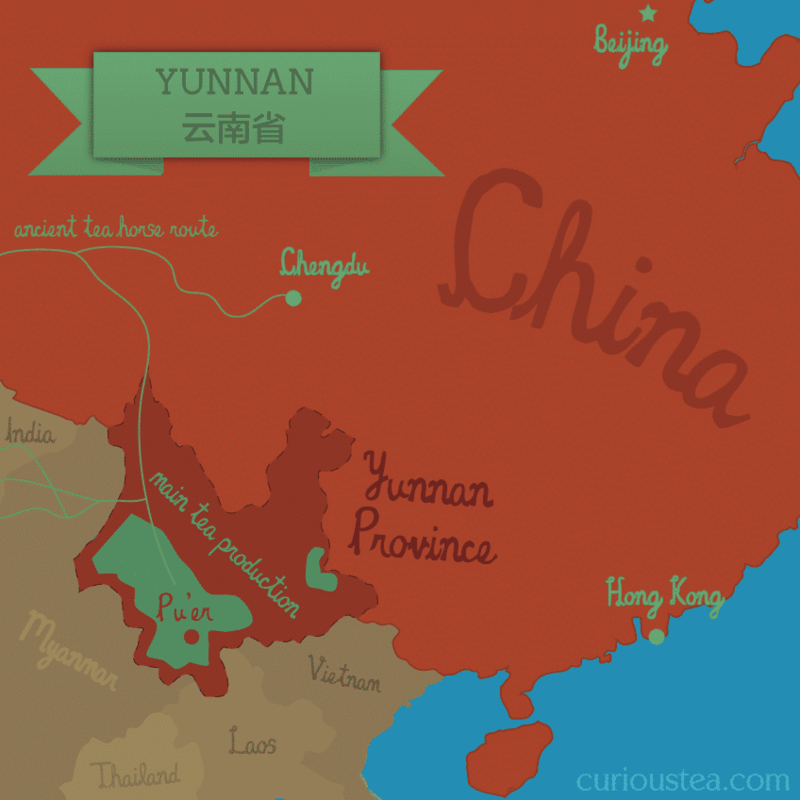 Dian Hong, literally Yunnan Red, refers to the origin, which is Yunnan Province, as well as the type of tea – red according to Chinese classification. 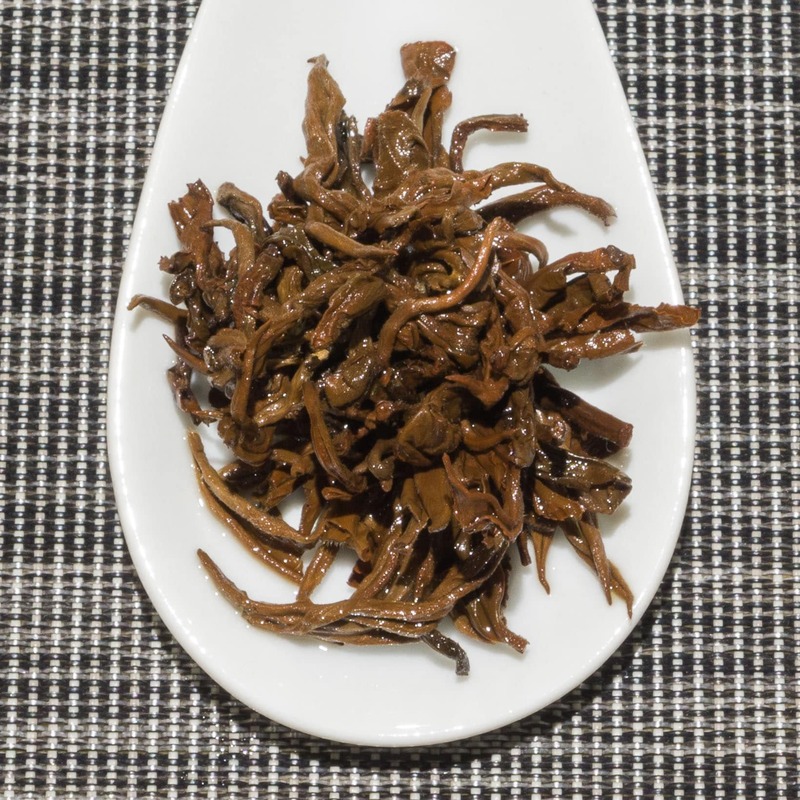 This tea is also known as Jin Zhen Zhu (Golden Pearls) and this refers to the unusual shape and style of this type of tea. 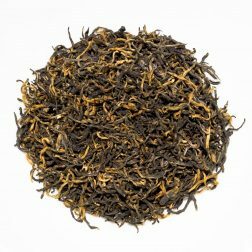 It comes hand tied into medium sized pearls, which are made from tippy leaves, hence the golden colour of the dried tea leaves. 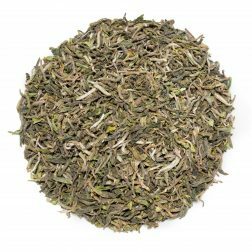 This tea was hand plucked and processed in March 2016 in Feng Qing County of Lincang Prefecture. This Dian Hong Golden Pearls black tea has been tied together into pearl shapes prior to drying. After the leaves are dried, they retain this shape but once they are submerged in water, they will open up to form a flower. 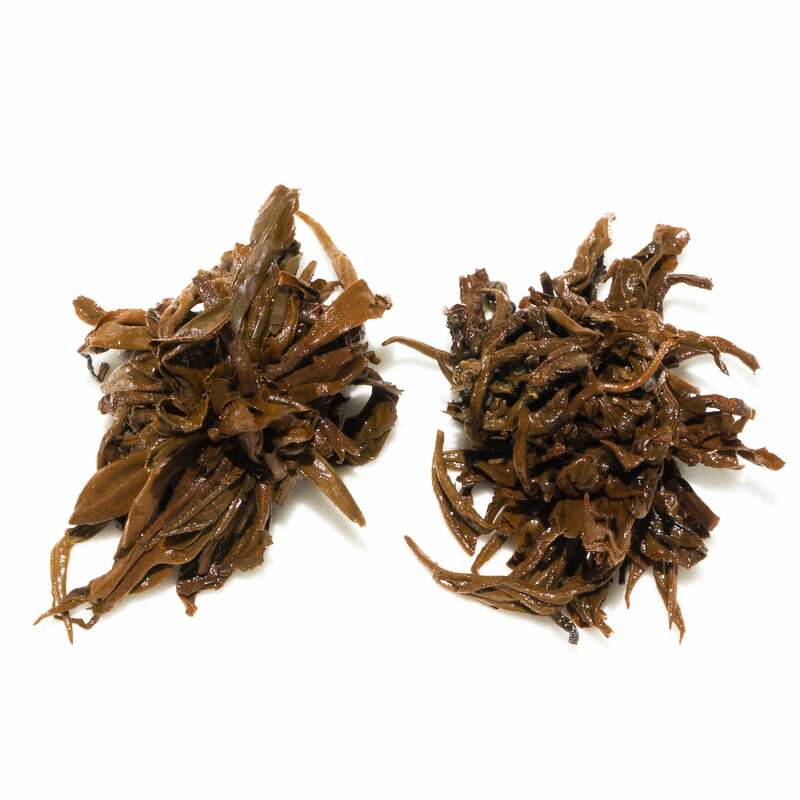 The Dian Hong Golden Pearls black tea that we selected is simply hand tied, and unlike many other flowering teas, the actual tea used to produce this one is of a very high quality, yielding a complex cup that is bursting with fantastic flavour. This tea has plenty of golden tips which are evident on the dry pearls. 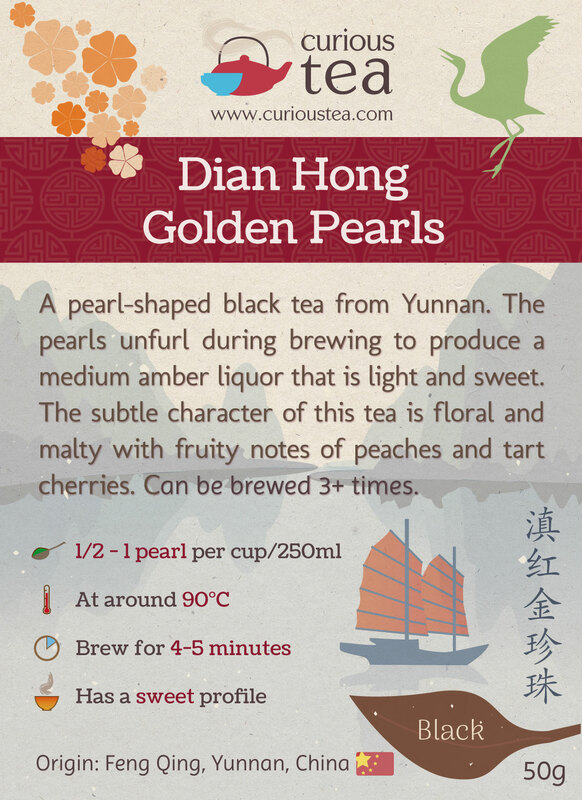 When you brew this Dian Hong Golden Pearls, the pearls open up into flowers and produce an amber liquor with a lovely aroma. The taste is light, malty and sweet while being very well balanced and not astringent. There are lots of notes of fruit, specifically of sweet peaches and tart cherries. 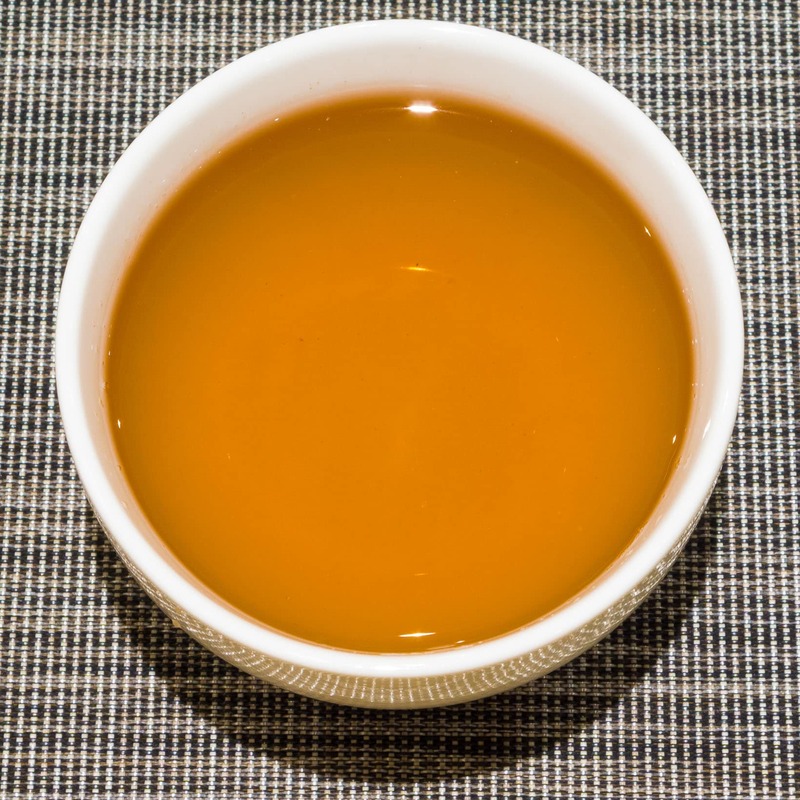 A smooth, comforting but also subtle cup of tea, perfect for an after dinner drink. 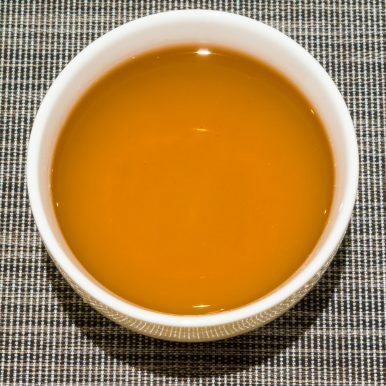 This tea is best brewed with water at 90°C for 4-5 minutes. It can also be brewed more than once; we found about three brews being the optimum amount. It is best taken without milk or sugar. Each pearl weighs around 3 grams so our 10g samples packs typically have 4 pearls per pack and full sized 50g pouches have 15-18 pearls per pack.